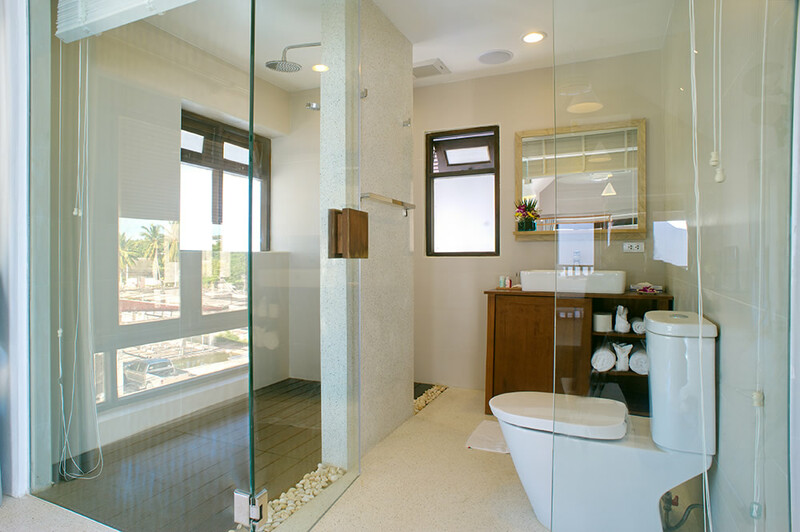 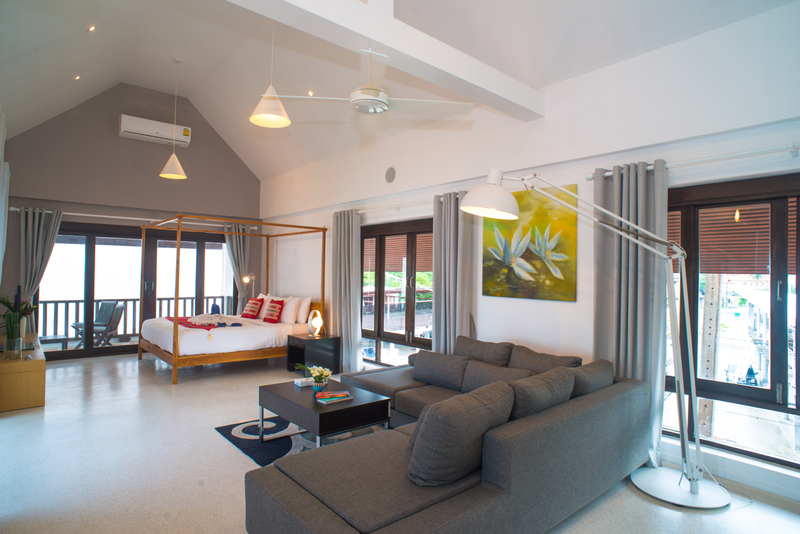 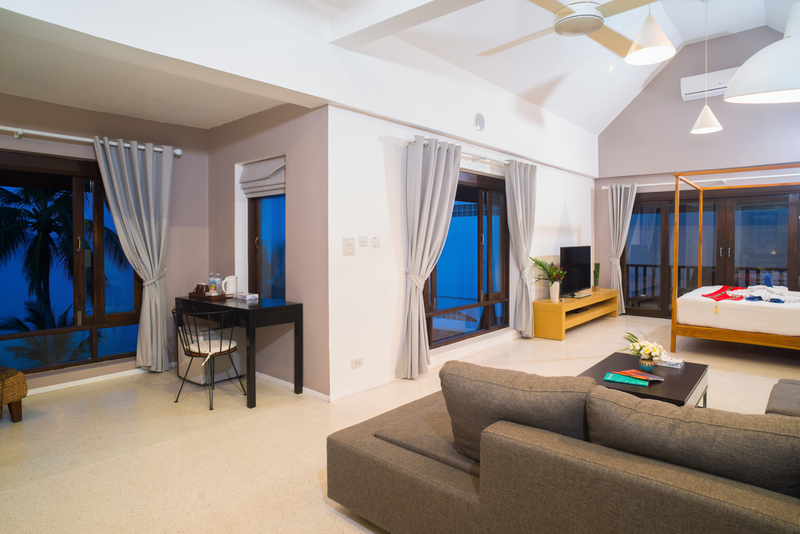 Our expansive 50 SQM penthouse suite is larger than many urban apartments/flats. 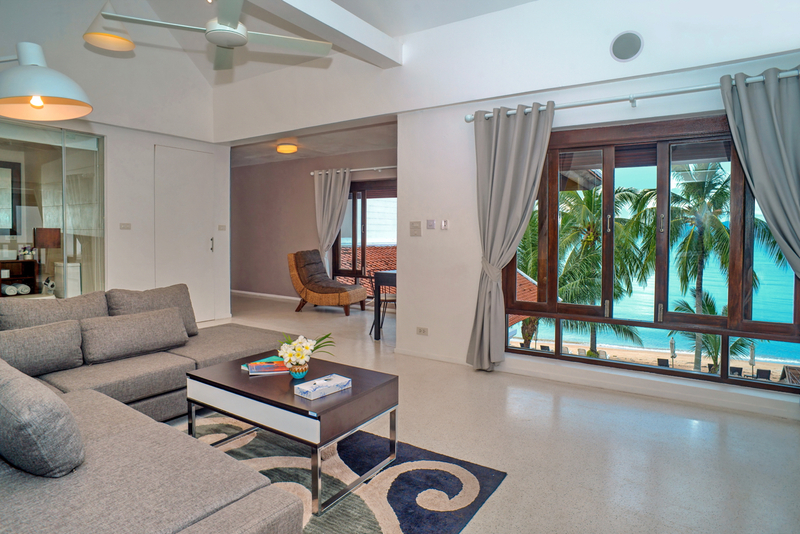 Soaring 4 meter (13+ foot) ceilings, a large private balcony, walk-in closet, and deluxe grand shower room are just a few of the features that await you. 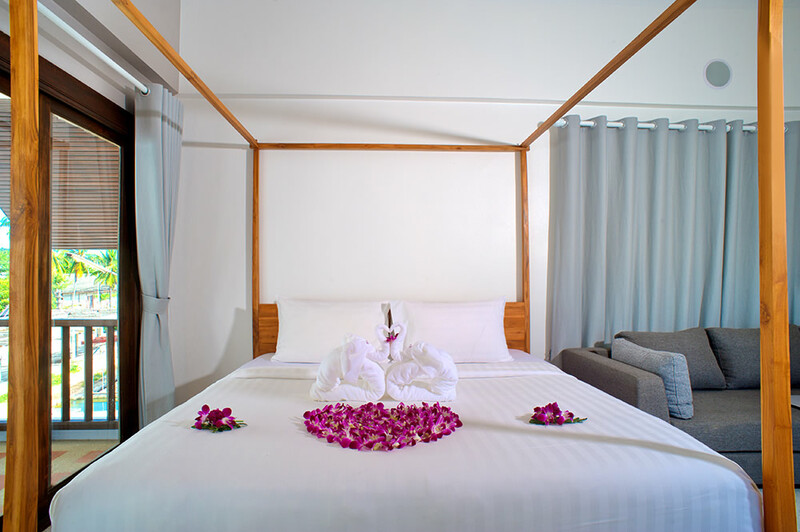 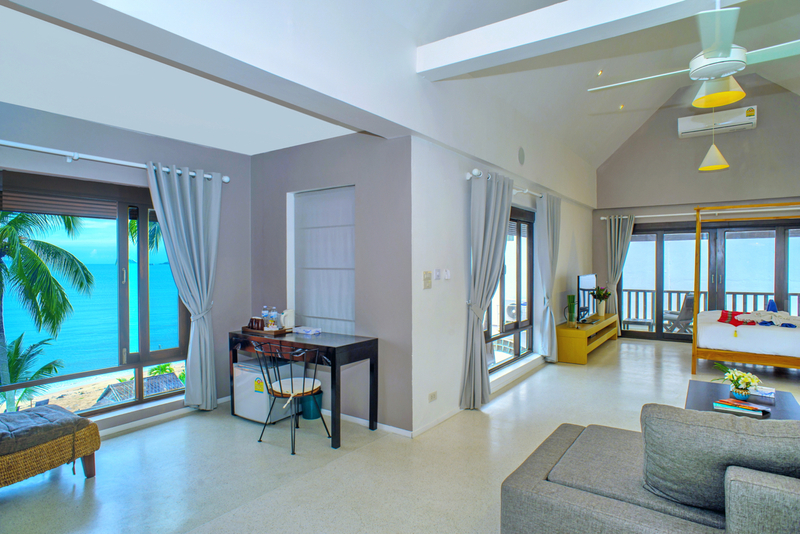 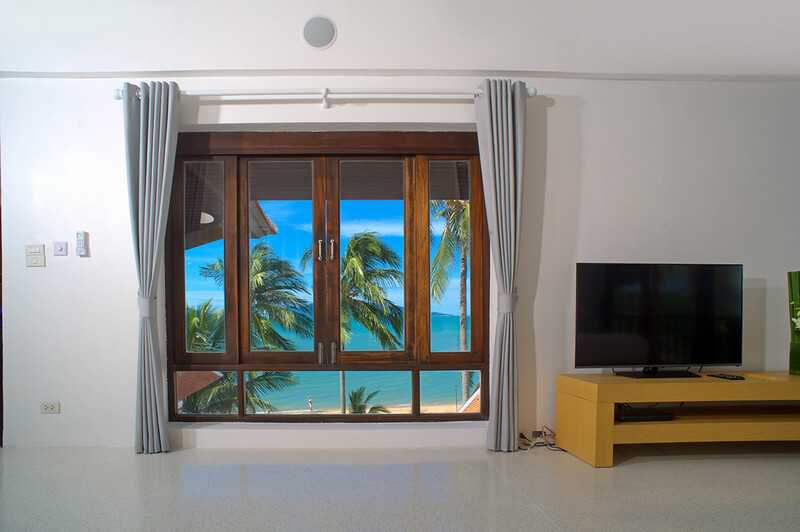 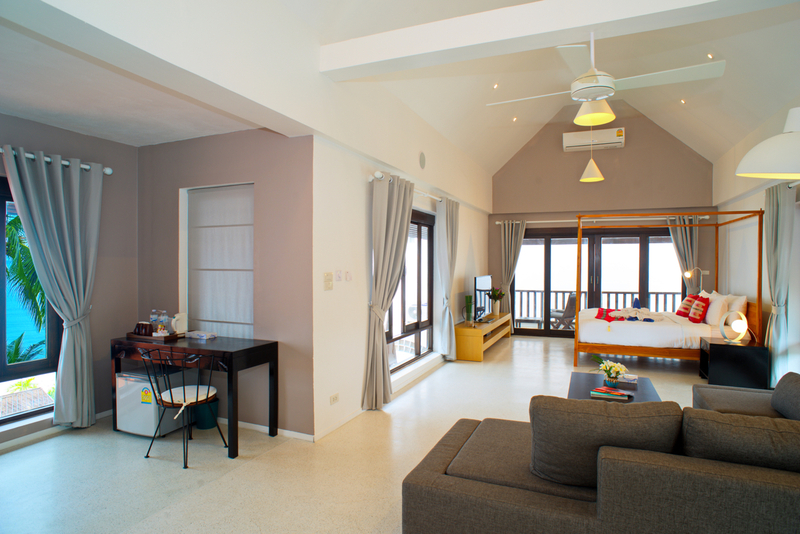 This room is luxuriously decorated with contemporary Thai furniture, 4-post king sized bed, large sofas, and upgraded TV. 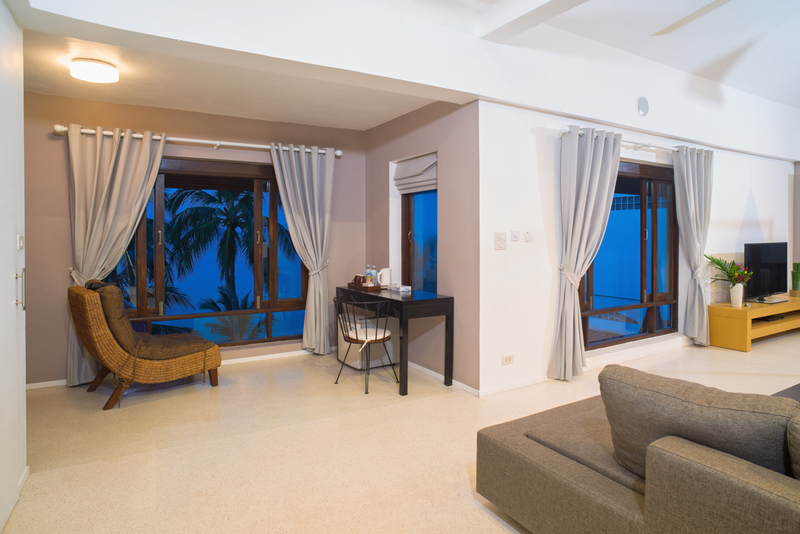 This is our only room featuring a balcony stretching the width of the hotel so you have both beach and street views.